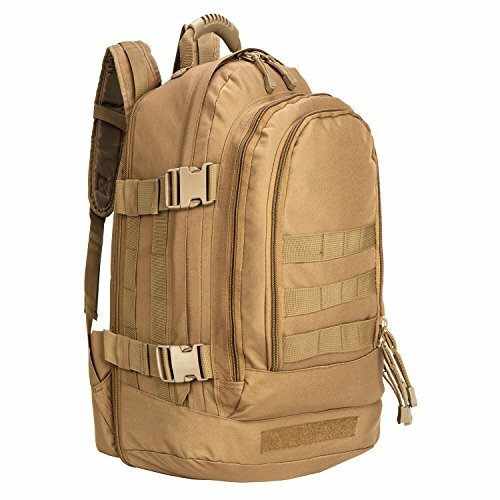 Front Compartment (11 "X7") :Mobile phones, walkie-talkies, pens, batteries, chargers, keys, laptops, tablets, wallets, documents, etc. Middle Compartment (15 "X10"): IPAD, tablet, notebook computer, etc. 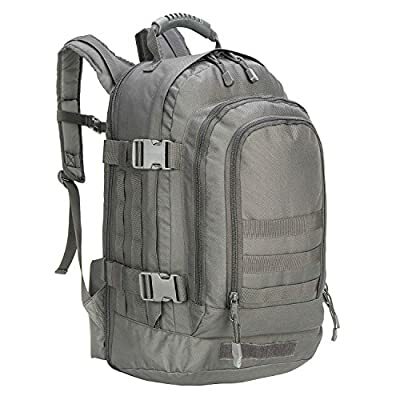 *It can be compressed to 39 liters or expanded to 64 liters of carrying space. 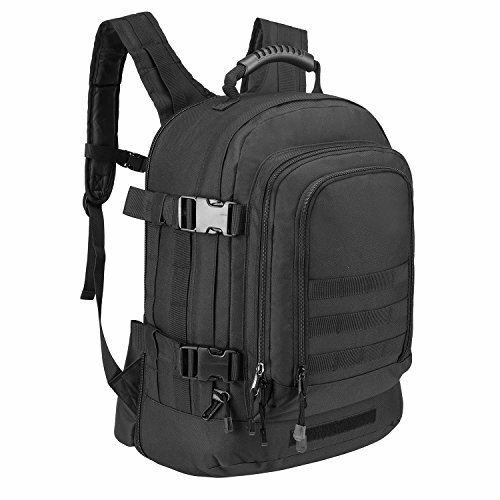 Side parachure claps allow for tightening to provide a compact , easy to transport pack. 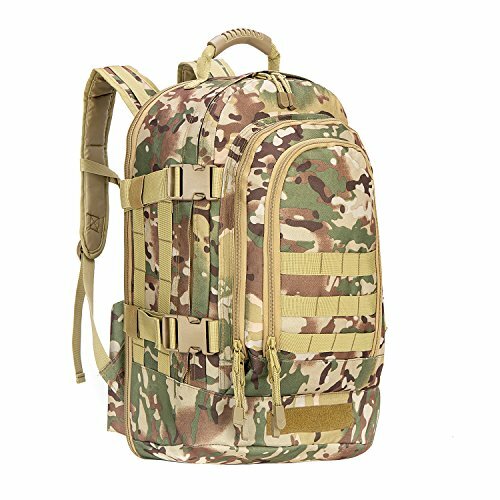 it is a very popular simple bag, suitable for different people, suitable for various occasions, can be used to travel, hiking, hunting, hiking and other outdoor activities, for both male and female, old and young, It is a general package. 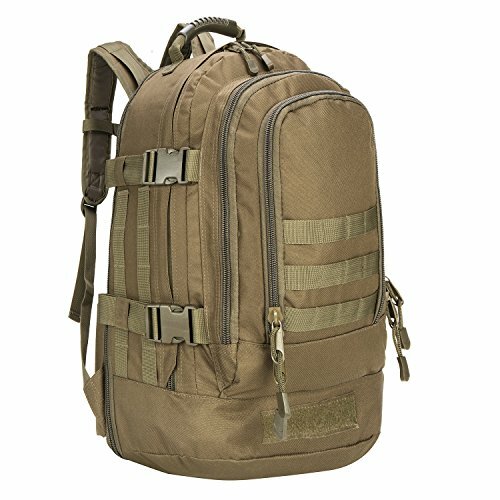 But it have some DIY system, you can add different small pouch or Velcro on it, make the backpack different with others There are two model of this travel backpack,model A and model B,model B will add the "B" after the color,like "TAN-B".Model A have the belt(can not remove) and three webbings on the front compartment.Model B not belt and two webbings.this backpack has three main loading space, the front bag can hold the cell phone wallet, the key and so on, the middle bag can put the flat plate and the book, the main bag can put some clothes and so on MOLLE system in the front, you can add pouch, the side of the buckle can make packages more compact, more comfortable to carry, heavy-duty handle make sure you can take the backpack by hand easily. adjustable chest belt can disperse the pressure of the bag, carrying more comfortable, and adjustable belt, let the whole bag fit our body, can fix the bag, at the same time reduce the bag pressure on our body, carrying more comfortable. This is an expandable package, which can be expanded by zipper on the side. The thickness of the side can be switched between 8 'and 13', and the maximum packet capacity can reach 64L. 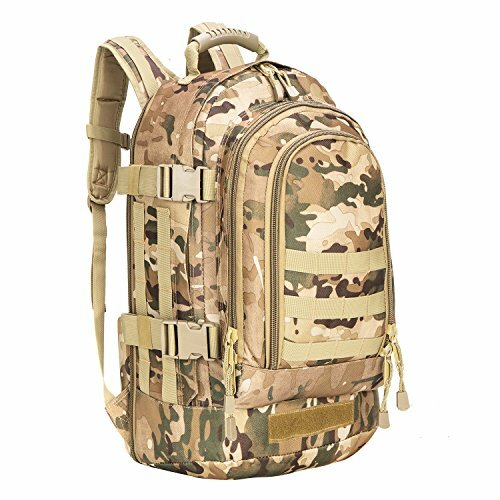 Can hold more things, and this bag is waterproof, very suitable for outdoor activities.